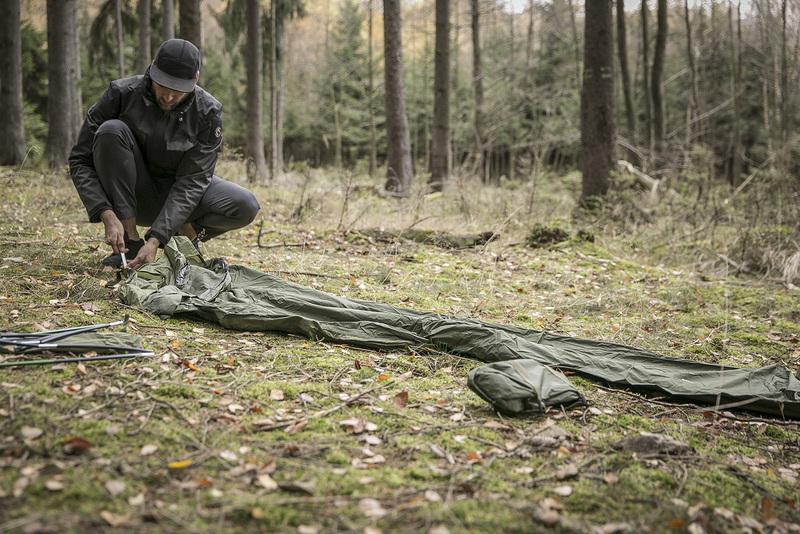 When you’re planning a trip away for several days with nights spent under the stars, every gram that you can save yourself from carrying is important. Too much, and you‘ll tire quickly, physically and mentally, and before you know it, you’ve spoilt the enjoyment of the whole adventure. 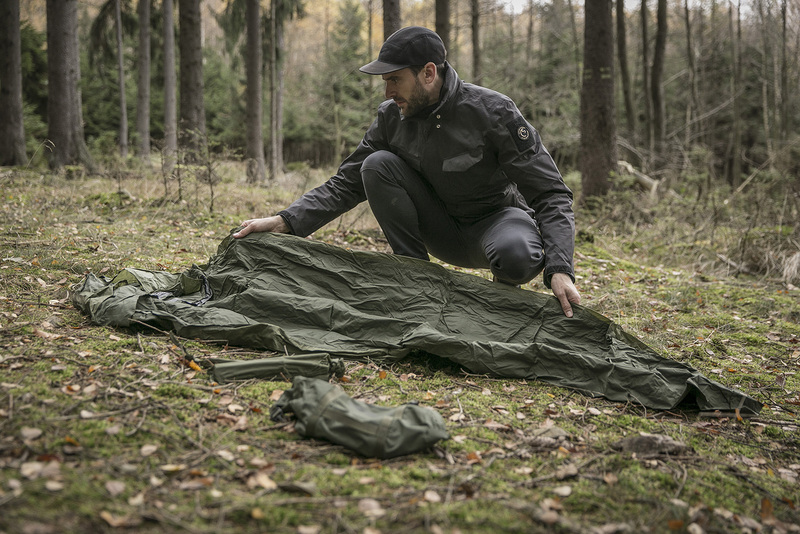 That’s why I want to introduce you to a lightweight option for spending the night outside, at the same time minimal yet offering the maximum protection from the elements that you normally only get from a tent. 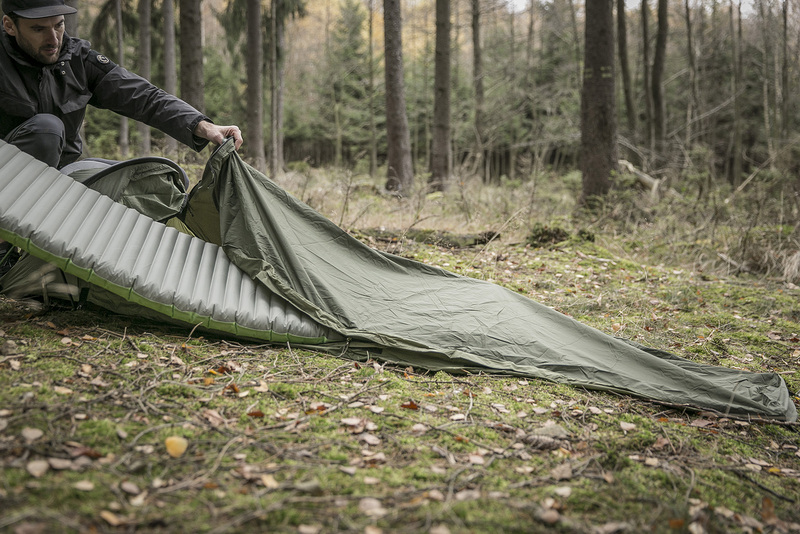 The Stratosphere is a one-man bivvy shelter, though calling it a one-man tent would be more appropriate, because it has all the advantages of a tent. 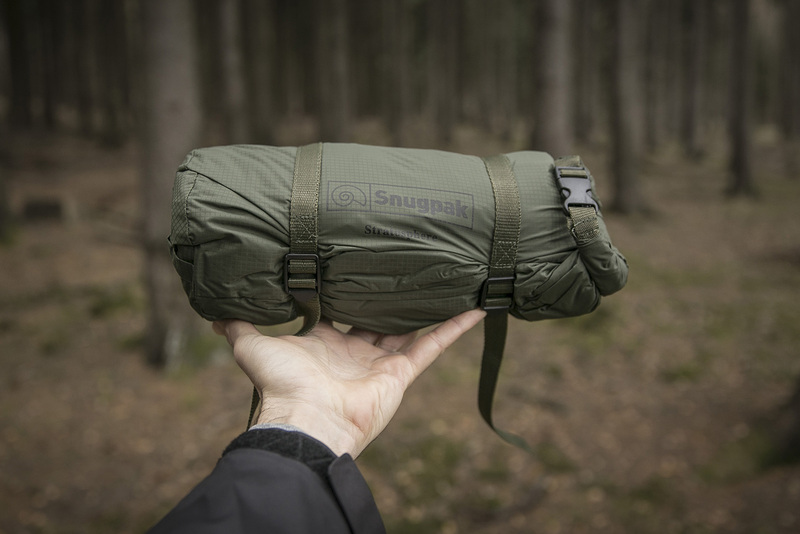 And it has the added advantage of having a very small pack size and weight. 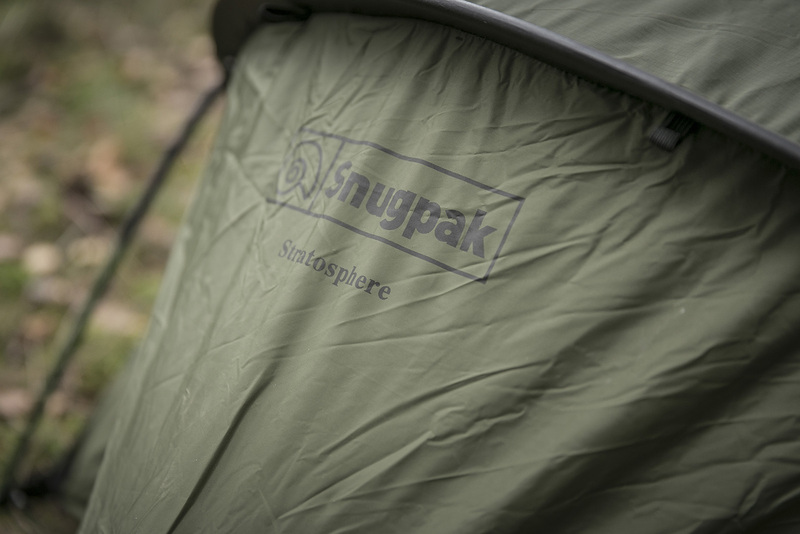 It’s only 1.13kg (including pegs) and has a compact pack size of 31 x 14cm, making it very portable indeed. Ideal for when you’re on foot or biking. 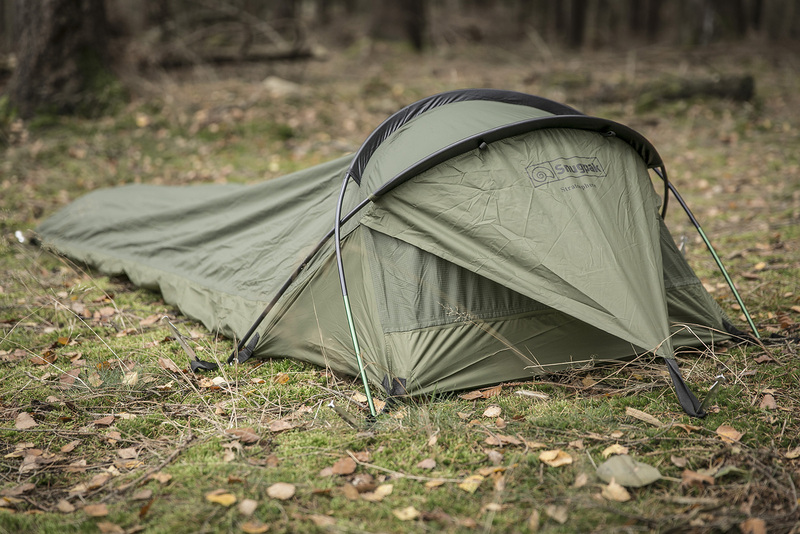 Of course, it’s not as comfortable as a one-man tent, but with a ground area of 230 x 106cm, it’s quite generous for a bivvy. And it comes with some nice extras too. 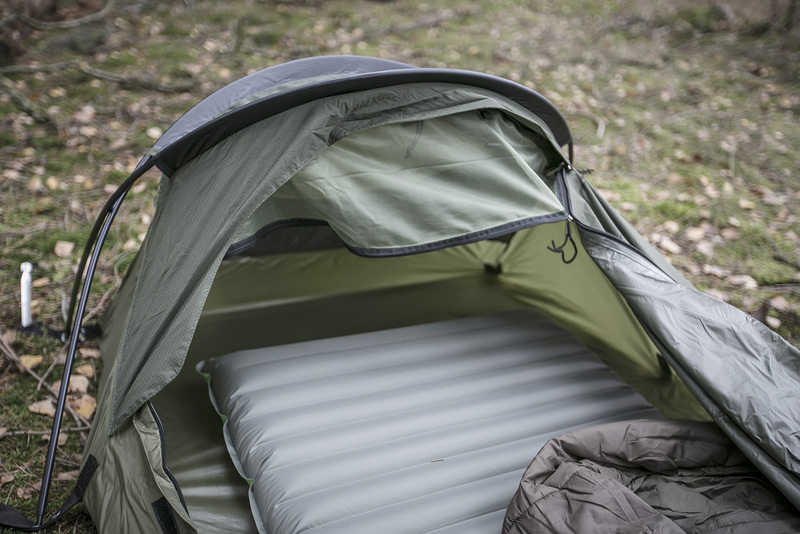 Two crossing poles create a 49cm-high canopy around the head, providing enough space so you won’t get claustrophobic or bump your head when rolling over. 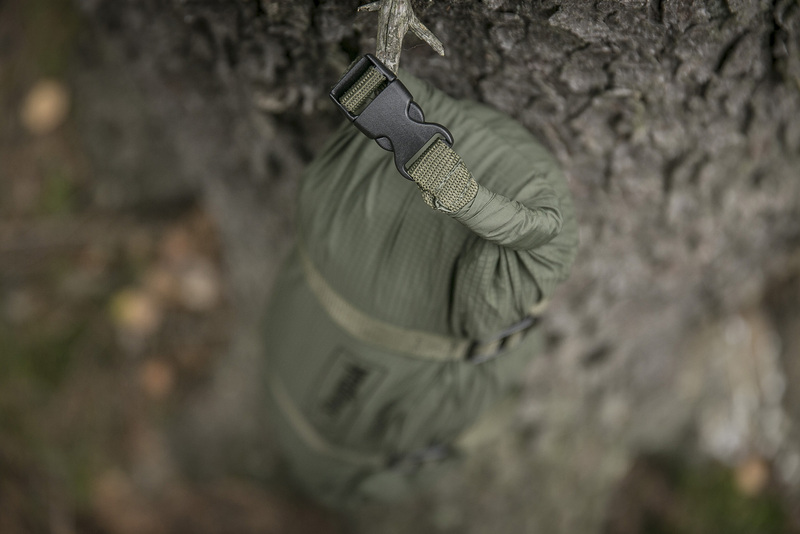 Depending on your build, there could even be room inside the bivvy for a mid-sized backpack. 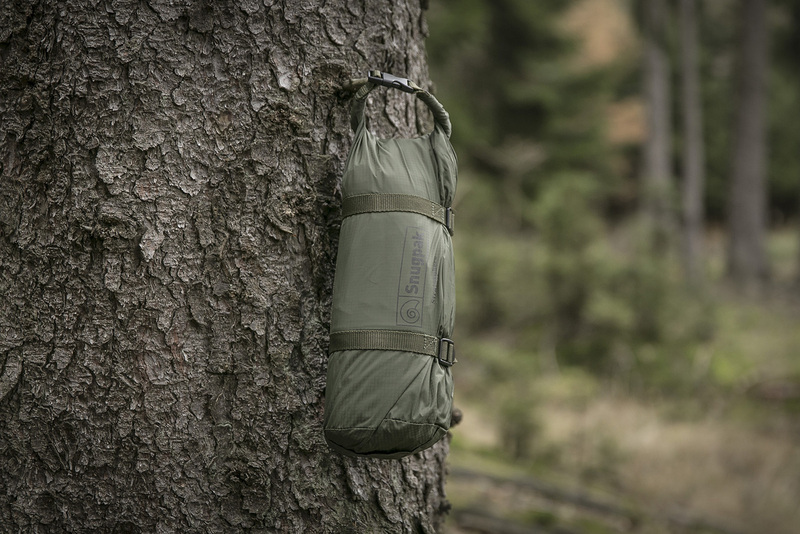 I had with me a 40L backpack which I was able to use as a pillow. Worked fantastically, and I’m 189cm tall! I especially like the well-thought-out ventilation design. 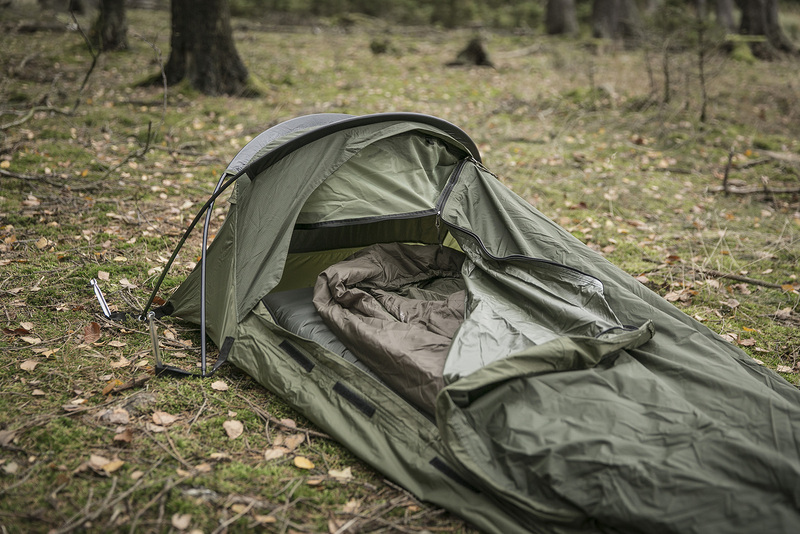 At first, I was worried that it could be difficult getting enough fresh air inside the bivvy, but my worries were completely unfounded. 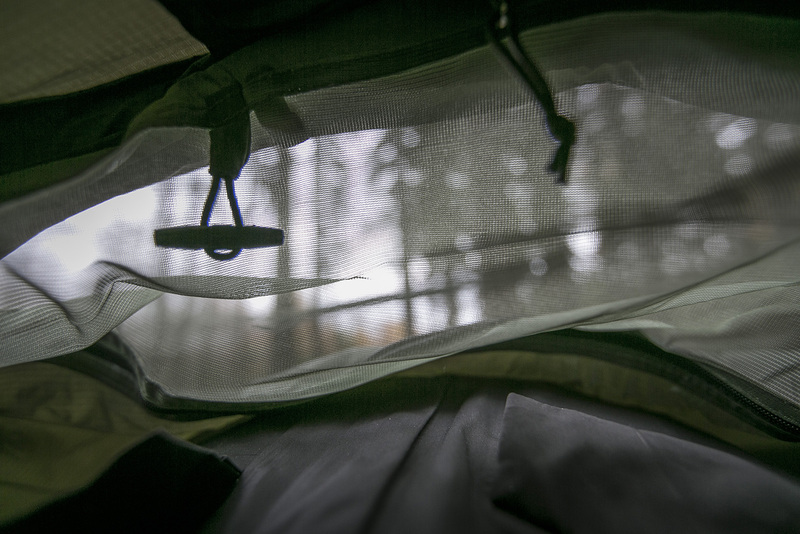 A mini-vestibule can be set up at the rear of the bivvy which serves as rain cover for the built-in net, which both allows in fresh air and keeps out mosquitoes. 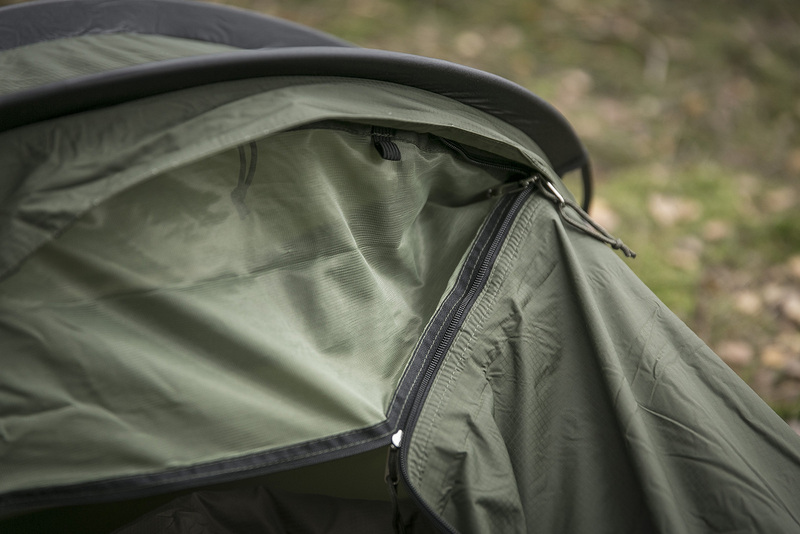 The mini-vestibule can also be rolled up on warm days to allow for even better ventilation. 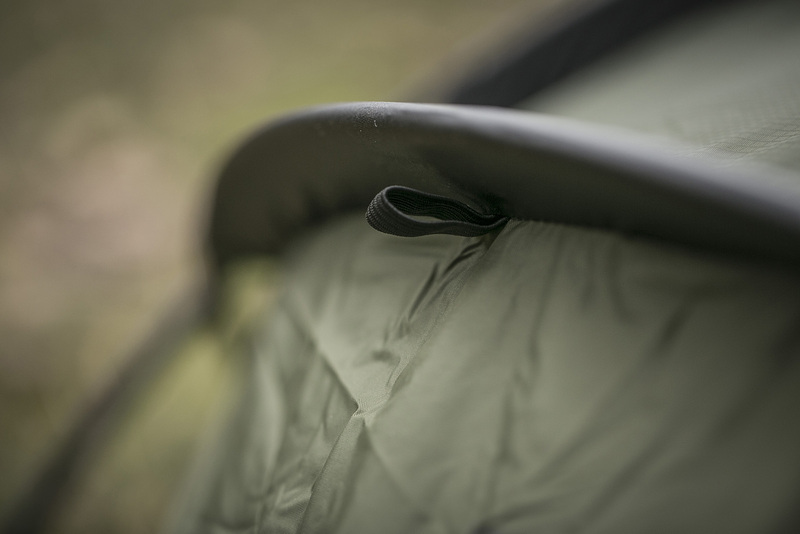 There’s also a mosquito net sewn into the canopy facing the foot end of the bivvy that can be opened when it’s dry out or, thanks to a clever system of zippers, covered and sealed in wet weather condition. 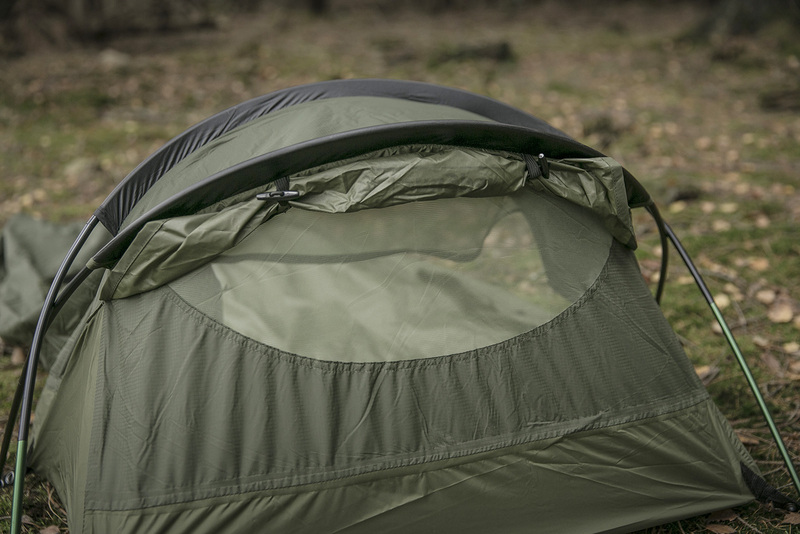 Together with the rear mosquito net, it allows a good flow of fresh air into the bivvy. 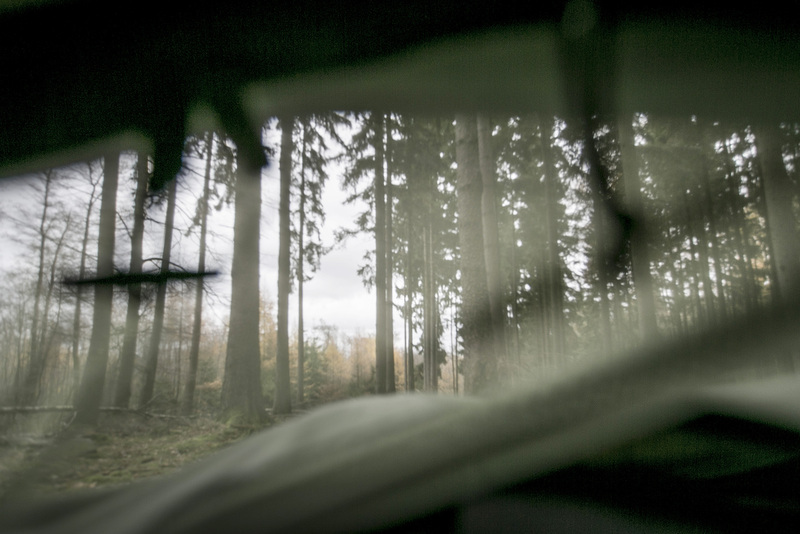 You can also use the front net as a window to look out of—at least towards your feet. 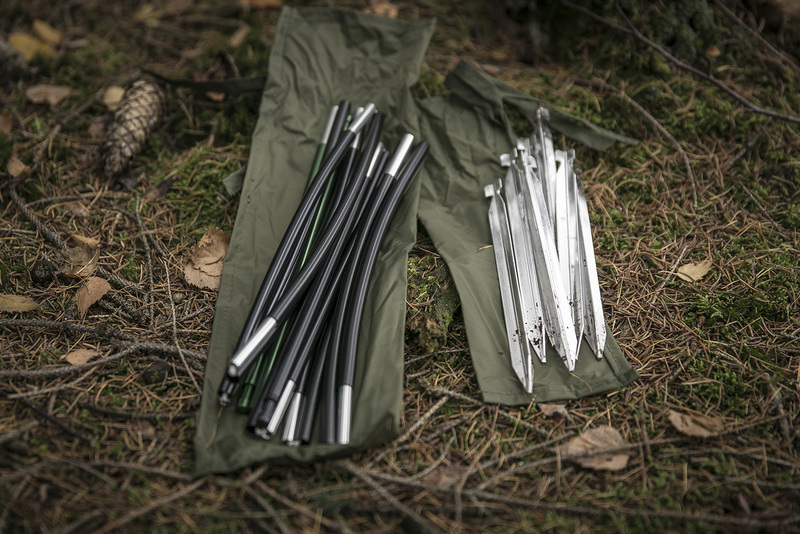 The Stratosphere can be fastened to the ground with 6 ultralight alloy pegs, though theoretically the bivvy is stable enough without them. 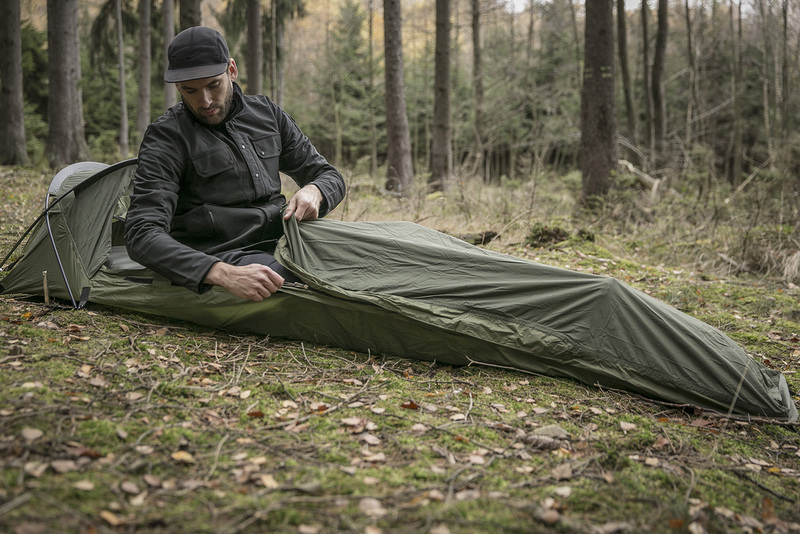 Practical if you run out of time pitching or if the bivvy is sheltered from the elements. 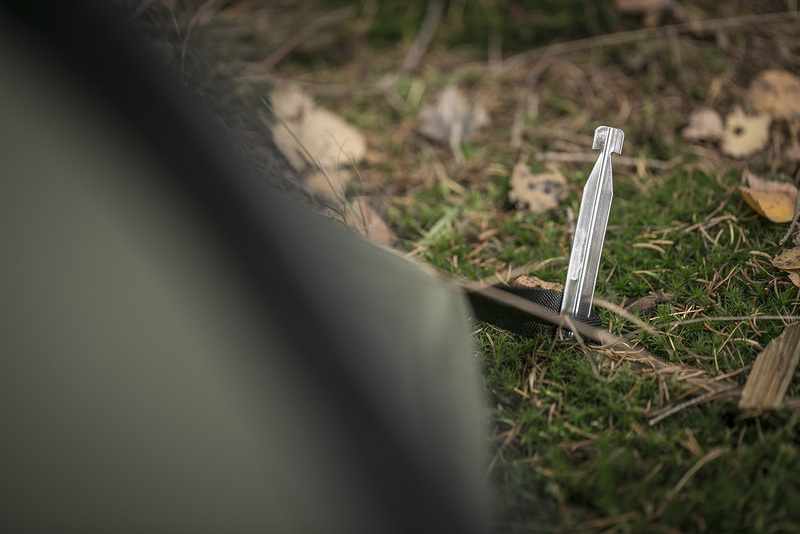 But still, the pegs are advisable when it’s windy out. 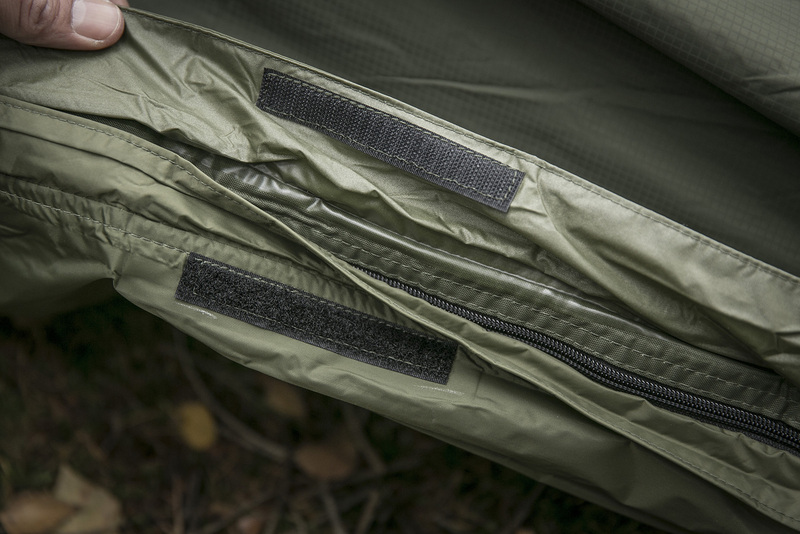 A zipper opens down 3/4th of the length of the bivvy (on the right side when lying in the bivvy) allowing the bivvy to be unzipped like a sleeping bag to make it easier to get in and out. 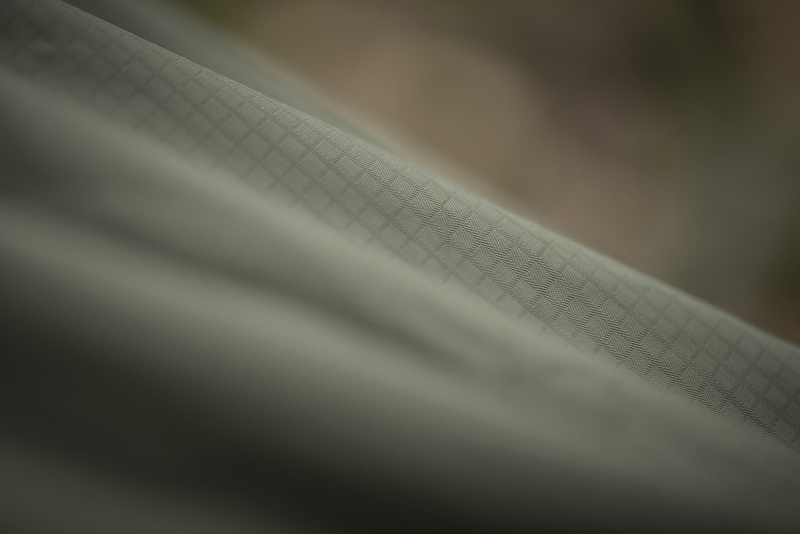 The zipper is protected from rain by a double strip of material that can be velcroed shut. 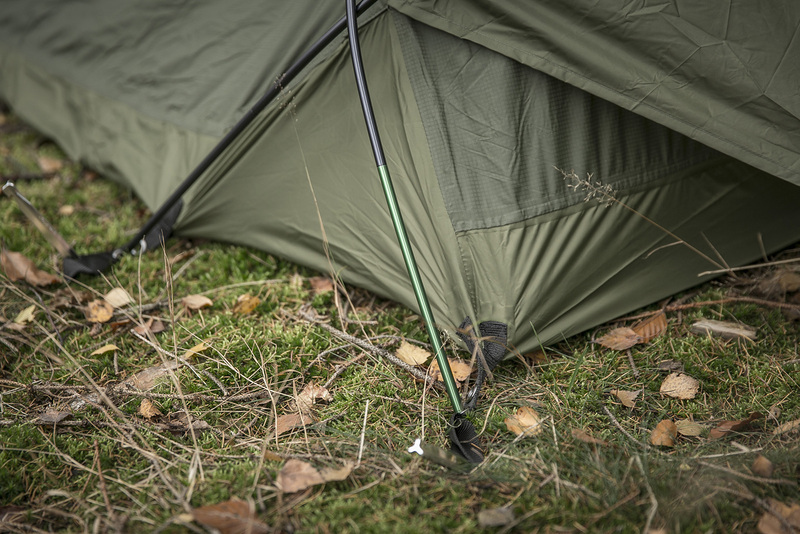 The Stratosphere is suitable for all seasons. 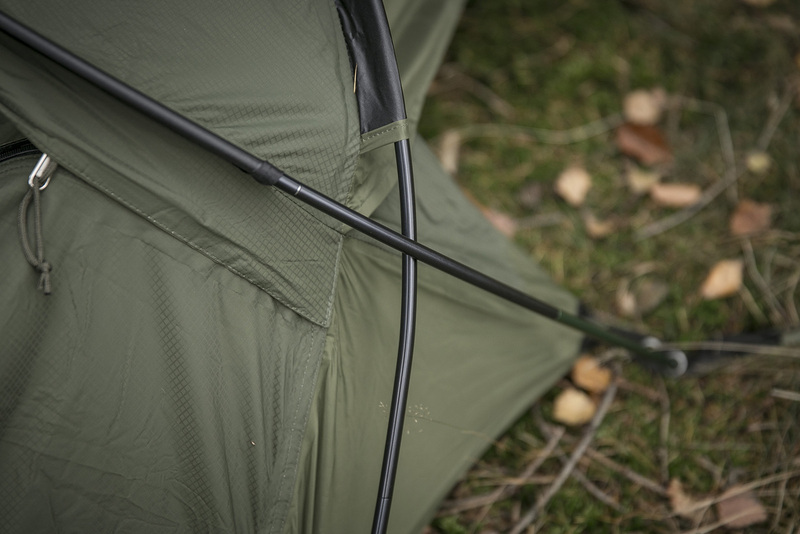 The outer material is made of a tough 50D Nylon Rip stop with a 5000mm water column and taped seams. 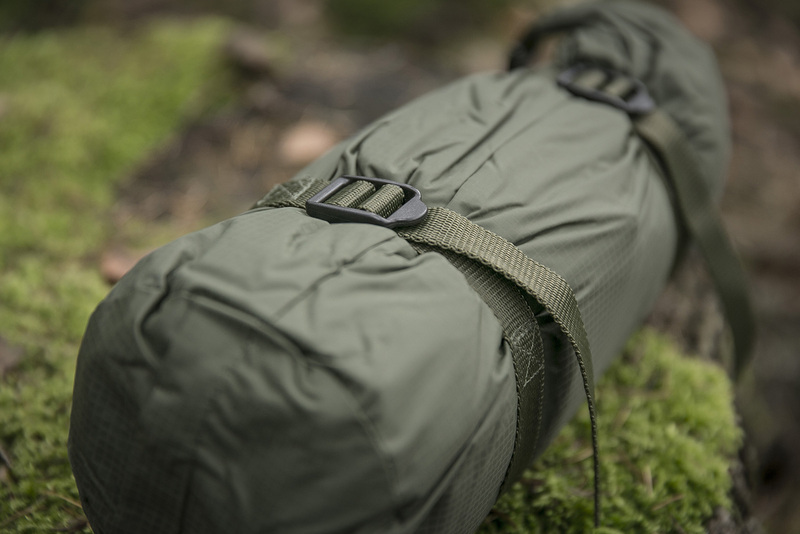 The inner material is made from 190t Nylon. 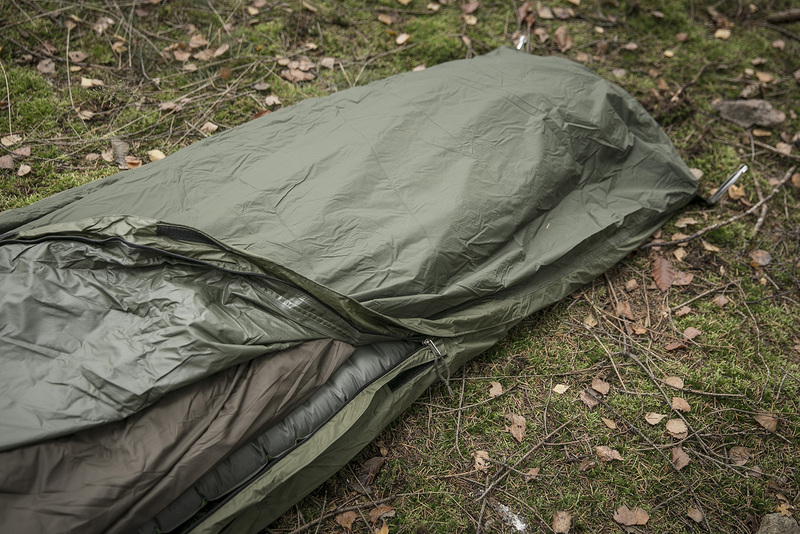 I have to confess that it was my first night in a bivvy. 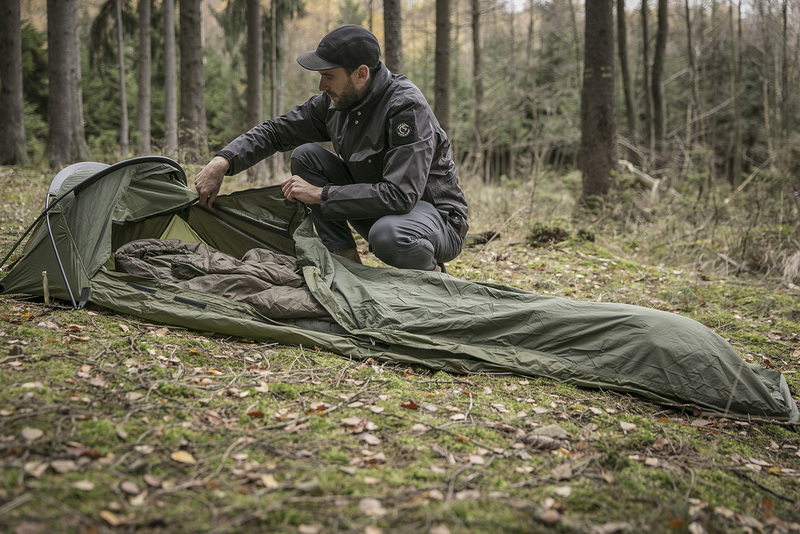 I’ve used one-man tents quite often but I was never in a shelter of this size. 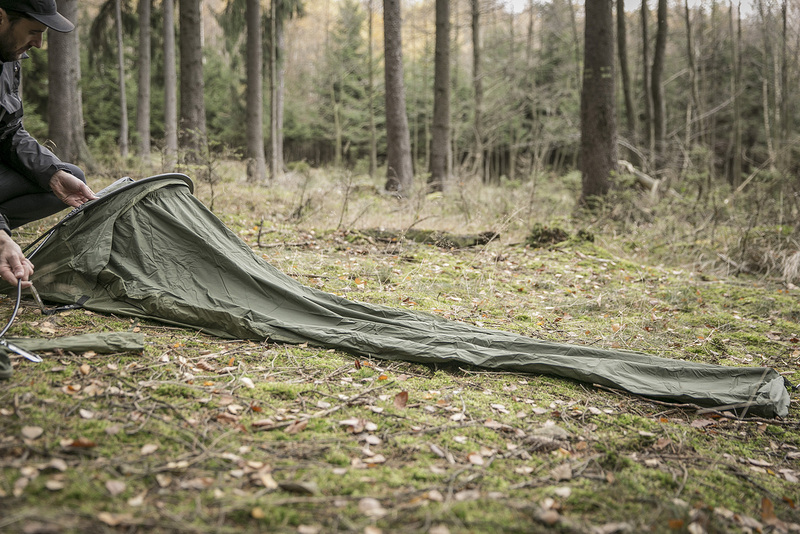 It took a bit of getting used in the beginning; I felt like I was stuck in a rain cover for my sleeping bag—which, in the end, is what a bivvy is—but more comfortable. 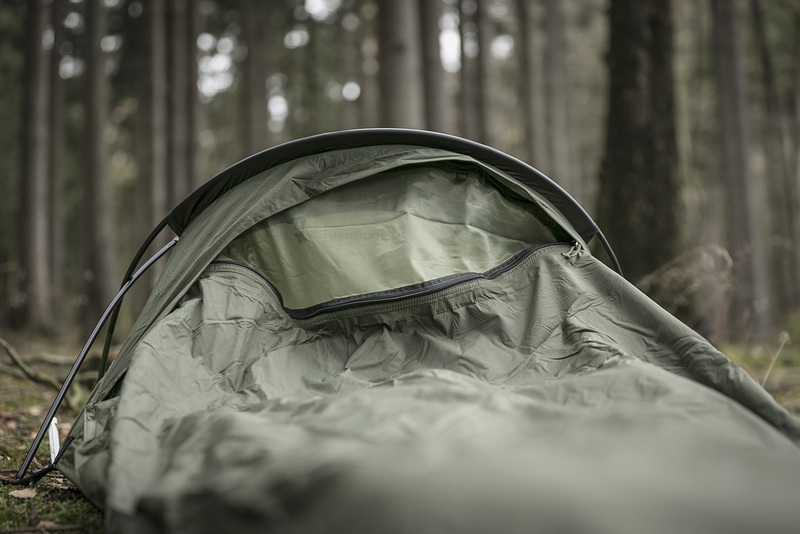 I had to get used to the idea that there was only a thin layer of fabric between my sleeping bag and the outside world, unlike with tents where there is an outer tent to give the feeling of having an extra layer of protection. Still, I pass the night comfortably, even cosily. Even the condensation under the canopy was minimal, despite cool temperatures outside. Thanks to the gut ventilation. Road test: passed! 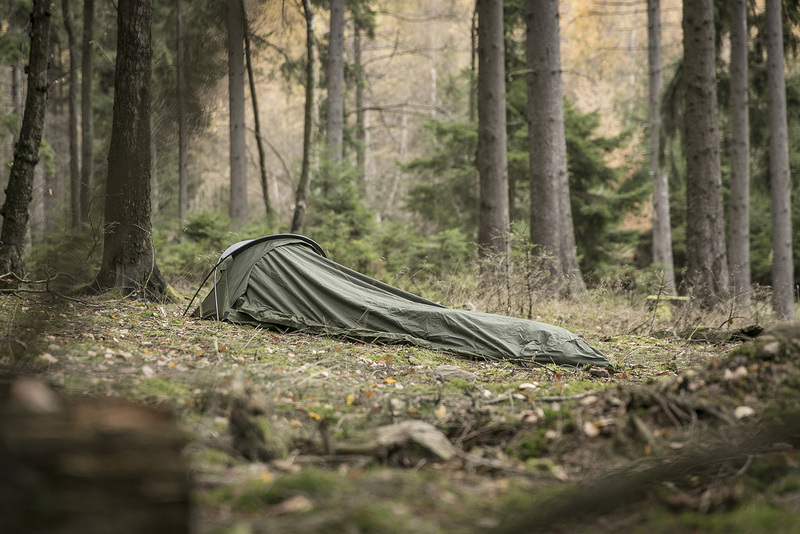 Conclusion: A bivvy is definitely one of the best solutions when you are spending the night alone in nature. 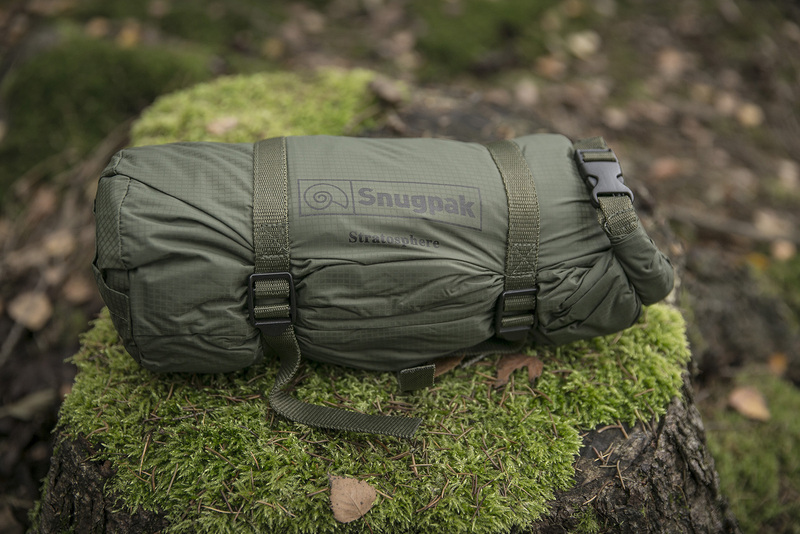 Additionally, the Stratosphere from Snugpak offers a small pack size and weight and, thanks to the well-thought-out ventilation system it’s also very comfortable. For my next solo-trip I’m definitely leaving my one-man tent at home and packing the Stratosphere. And I can’t wait!